Vocal cord closure is one of the most important foundations of singing good vocals and notes. When you speak or sing, the vocal cords come together to meet at the center of the throat. If you want to become a great singer with a powerful voice, learn how to strengthen your voice by doing regular vocal cord exercises. Cord closure refers to how good your vocal cords merge when you are speaking or singing. Most people who have never done any training to develop good vocal cords have a good voice that is still not strong enough to produce a perfect sound. When your vocal cords don’t resist airflow efficiently, then all the cords will start leaking excessive air. When this happens, the resultant sound becomes dull and airy, lacking vibrancy. You see, when your vocal cords don’t use air efficiently, you will run out of air much faster, and this will make you compensate it by pushing harder and gasping for more. To improve this situation, you have to strengthen the thin edges of your vocal folds. When you sing, the vocal folds normally come together to produce sound, and you must learn how to create a tighter seal when they are together. When you do this, you will realize that more of the air that you are using to sing gets used up to produce more quality sounds. The underlying trick in having a beautiful voice is the mastery of vocal cord closure. It is the very foundation of all the technical works that you should engage in to enhance your voice. You can make sound, for example, because of the closing actions of your vocal cords. Your vocal cords come together and meet at your throat’s center. This mechanism is termed “adduction.” The cords adduct to prevent air from coming up from your lungs. You create crisp sounds by merely resisting the movement of air from your lungs. Vocal adduction means the same thing as vocal chord closure, and it refers to the coming together of vocal folds (also known as vocal cords) to produce sound. It occurs when we shout, sing, speak, whistle, etc. Vocal abduction is the opposite of vocal cord closure, and it refers to the state in which a singer sings the vocal cords while breathing. Knowing how to control the amount of vocal cord closure is one of the most important key factors for developing good control over your voice when singing. 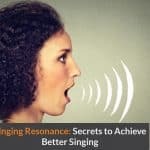 There are several practices and exercises that you can do to improve on your vocal folds and minimize any breathing situations while singing your vocal cords. Mastering vocal function has several advantages that can help you to become a great singer. First, it creates immediate access to resonance and healthy vocal tones. The compressed subglottic breath allows the vocal cords to vibrate creating a good feeling that makes the singer feel like a “pillow of breath” without any forced breath pressure. Vocal function also helps the acoustic space of the throat to stay wide open. Lip trills involve vibrating your lips together, with creating a pitch at first. It may take you a while to get used to it but with time you will like it. This exercise helps to build up your breath, stamina, and support for singing. To start with, gently blow air through your closed lips and stay relaxed, then sing a “UH” vowel underneath. The pitch can go up and down or stay on one note, but you should feel a funny tickling sensation in your nose. 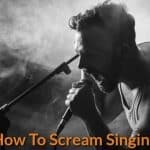 This technique can be of great help for singers developing their skills. Hooty Gee is a great exercise for singers experiencing too much tension. A good practical would be to use a dopey cartoon voice, like pronouncing the word “gee”, when you do this, you will feel your larynx drop. The G consonant helps with cord closure due to the back-pressure it creates, and this enables a singer to access the upper register with a closed cord and a more stable larynx. Once you get comfortable with it, you can drop the dopey imposition and try a more natural sound. If you want to find your mixed register, you need to get into the spaces between your head voice and chest voice. A good way of discovering where your voice sits is to make a nasty “NAY” sound. The “N” sound will automatically force all your cords to get together while the “AY” makes that nasal quality. If you put it all together, the nay keeps the cords closed up properly. Once you do this, you will feel a vibration along the back of your throat. For some people, this exercise might sound terrible, but with several practices, it can produce good results. If you want to get used to it, just take it as a tool that can help you discover your mixed register. Once you do several practices, you will find out that the exercise is very efficient in helping one to develop a strong mixed voice. Just like any other singing exercise, the “nay” exercise will take you some time before you master your register and build up consistent vocal cord closure. If you practice early enough, you will be able to unleash your powerful tone within you as you grow your singing skills. If you utilize vocal resonance and cord closure, you can get more clear sounds that come with a better brightness from the upper harmonics. Once the air from the lungs is converted into sound energy, the sound moves into your resonance cavities that function as the amplifier of frequencies produced by the vocal cords. Vocal resonators include; mouth (oral cavity), throat (the pharynx), and the nasal cavity. Most singers suffer from a breathy tone that caused by lack of cord closure. When the vocal cords are not closing properly, the singer is forced to use more air to produce the tones. By doing this, the singer increases tension in the throat, producing an unpleasant shouty tone. It’s not recommendable for a singer to take cord closure to the extreme levels since it can promote injurious techniques of singing. If you use correct nasal resonance, you will be able to balance these effects with ease. The healthy balance is very important, and it’s a great advantage for singers practicing vocal cord closure. Will going lip trills strengthen the edges of the vocal chords ?